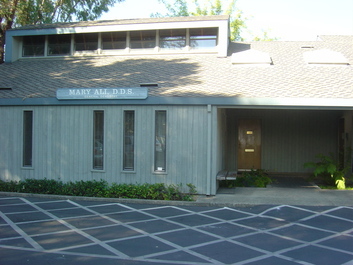 MARY ALI D.D.S, INC is family dental office located in Lodi California and is committed to offering complete dental services to both adult and children of all ages. We have a State-of the Art facility, with modern high tech dental equipment, digital dental x-rays, and high definition TV monitors for the patients to view x-rays and photos of their teeth. We are serving our Community with Quality, Caring, and Affordable Dental services. We maintain and keep our facility clean and follow CDC and OSHA guidelines. Our dentist Dr. Ali work with our trained dental assistants to assure you get the best dental care for your entire family needs. They help in every possible way to give you the smile and care that you deserve. In Lodi its the best dental care facility providing excellence in oral health care services. A standard of excellence in personalized dental care enables us to provide the quality dental services.Dr Ali provides comprehensive treatment planning and uses her experience along with the modern techniques and devices to give you the highest standard of dental care. Its for this reason, our office meets and surpasses all OSHA (Occupational Safety and Health Administration) and CDC (Center for Disease Control) standards. We are confident that you will feel right at home in our office as we welcome all patients as if they were family. We are open Tuesday to Friday, from 8.am to 5 p.m. We offer flexibility in appointments .Should a dental emergency occur, we make every effort to see and care for you as soon as possible. We provide an out-of-hours emergency contact number to all our registered patients, so that you can talk to the doctor in the event of an emergency. We also provide emergency same-day appointments, where available, to all patients – even if you are not registered with us. An entire range of dental care is available at our Lodi Dental Care Center. All new patients receive an oral examination to detect existing or potential problems. Based on the findings of the examination Dr. Mary Ali ,will make a treatment plan according to your individual needs and discuss each option, than we can proceed with the treatment according to your schedule .If you have dental insurance our staff will call the insurance and check your eligibility and benefits ,and will discuss with you financial options in case you have copayments or deductibles . For uninsured dental patients we offer flexible payment plans. Lodi General Dentistry services including exam, x-rays ,teeth cleaning and teeth whitening, Fillings white and amalgam, tooth extraction, dentures both partial and full dentures, crowns and bridges, Fluoride and sealant application, root canal therapy, veneers, occlusal guards(night guards), Denture repairs etc. Please call our office if you have any questions, we will be happy to help you..
Our fees are reasonable , we believe in providing the very best in dental care, but at affordable prices to our Lodi, CA community. We accept Visa, MasterCard, cash, checks and most private insurance plans. We understand that dental treatment can sometimes be expensive. If you are considering dental treatments, and would like to spread the cost over a period of time, we have a number of interest-free payment plans available. We will be more than happy to submit all insurance forms for you and help you recover the most from your benefits. We will do everything we can to help you afford the treatment you need and want. For patients who require major work, a complete payment plan is designed with an appropriate payment schedule. We accept care credit .we offer monthly interest free payments plans.please ask us if you are interested. If you are unable to keep an appointment, we ask that you kindly provide us with at least 24 hours notice. There will be no charge for changing your appointment provided that we are given at least 24 hours notice. We do charge for missed appointments or late cancellations. This allows us to run efficiently and keep our fees at a reasonable level for you. There will be $45.00 charge for missed appointments and not given a 24 hour notice of cancellation.